Greetings! I have been getting quite a few requests for this lovely flat twist style. This is another version of the look I created for a client! This style should last a minimum of 2 weeks with proper maintenance! Inbox/email me to schedule an appointment today! Author AphropuphsPosted on December 16, 2015 Categories Hair Care, Natural HairstylesTags atlanta natural hair, augusta natural hair, conyers natural hair, flat twist styles, flat twist updo, natural hair, natural hairstyles, the hair garden, traveling natural stylistLeave a comment on More Flat Twists!! Text me or e-mail me to make an appointment (hairgarden@live.com)! I may extend my visit if I have enough requests! Also, please stay tuned all my local Augustans! I come to Augusta on a monthly basis and now have the flexibility to visit more often! I will be posting a series of dates that I will be visiting this month and next month for your scheduling convenience! Make me your new natural hair stylist today! 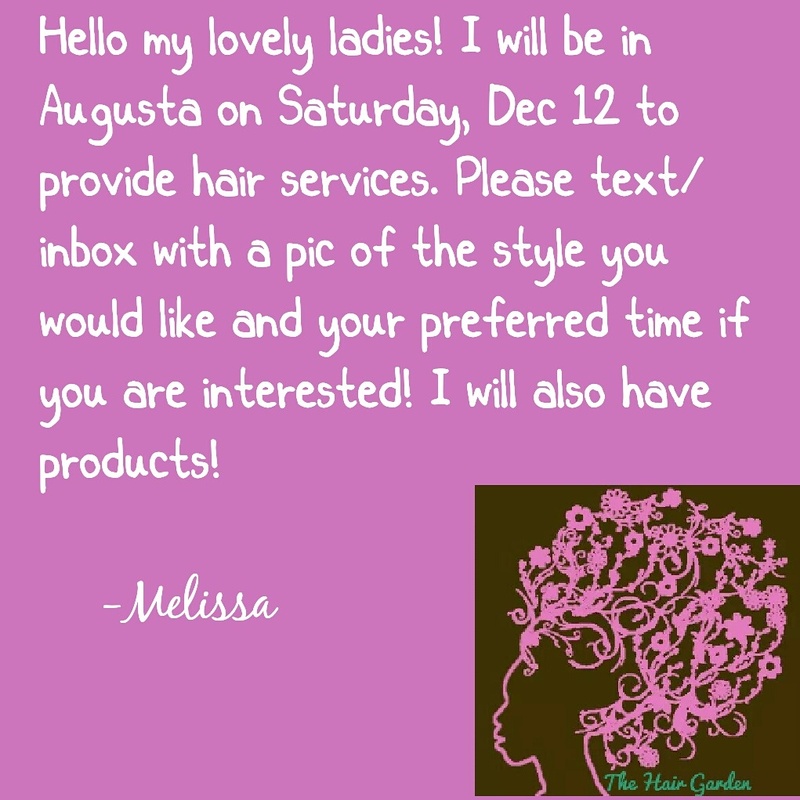 Author AphropuphsPosted on December 8, 2015 Categories Hair Care, Natural HairstylesTags atlanta natural hair, augusta ga interlocking, augusta loctician, natural hair, natural hair augusta, traveling stylistLeave a comment on Coming to Augusta!! Greetings, lovelies! I have some awesome news to share with you! 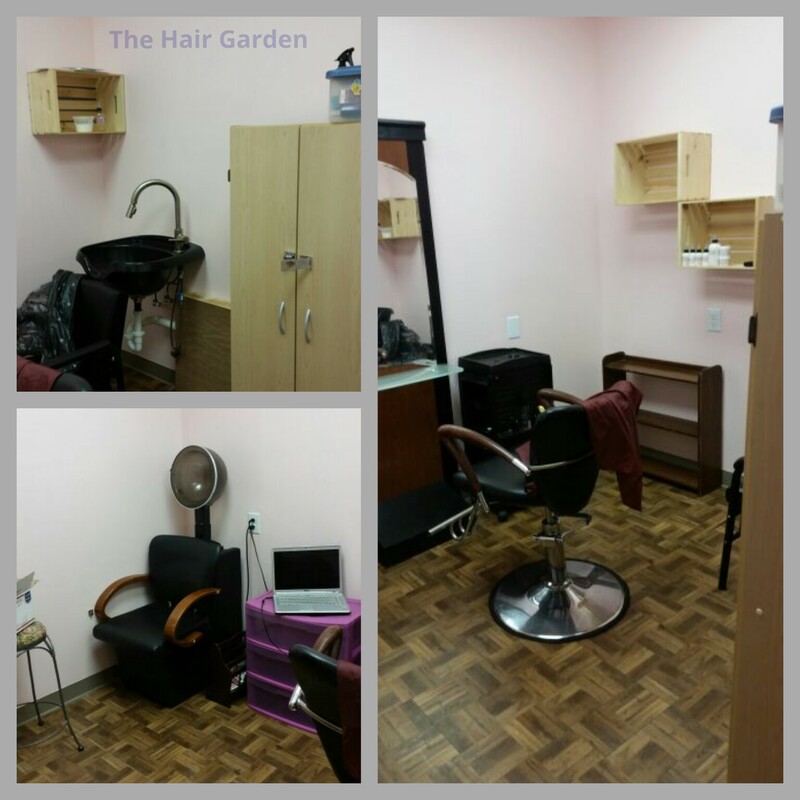 Hair Garden has a new home! It was a difficult and BIG decision for me but I decided to get out there on my own! I found a suite in a beauty spa and have sealed the deal and moved in! I’m located inside of Beauty Restoration Spa at 3574 Highway 20 SE, Conyers, GA 30013. I wanted a place where I could work on my clients in a professional atmosphere and make my retail available to the public. Painting has just been completed so I am now getting settled in! 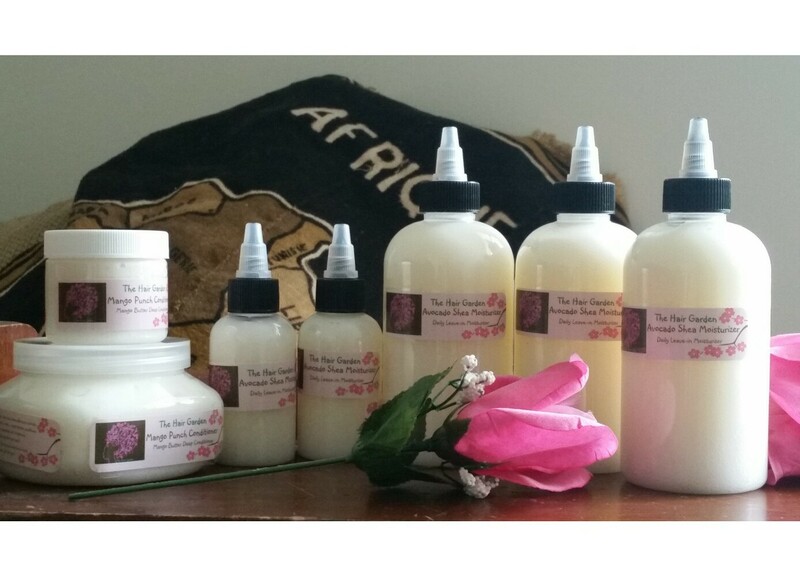 Contact me or visit me for your product orders and to book your appointment. You can also go to http://www.styleseat.com/melissaotoo to see my availability! Author AphropuphsPosted on June 26, 2015 June 27, 2015 Format VideoCategories Hair Care, Loc Care, Natural Hairstyles, Natural ProductsTags atlanta natural hair, atlanta natural hair stylist, conyers natural hair salon, Hair Garden, natural hair, natural hair care conyers, natural hair conyers, natural hair products conyers, natural hair stylist conyers, the hair garden conyers2 Comments on Hair Garden’s New Home!! Greetings, beautiful! 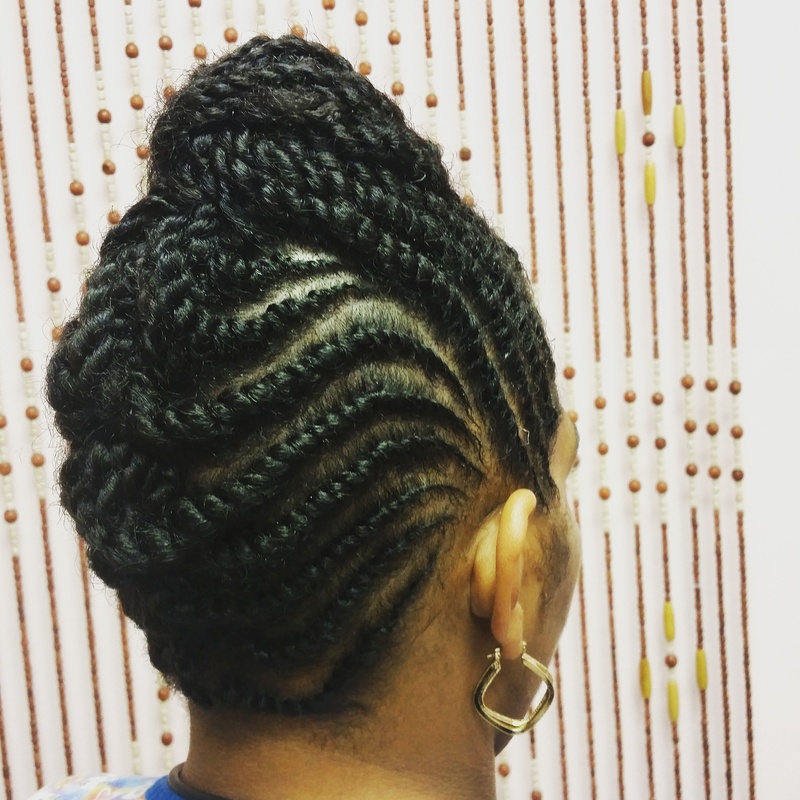 Cornrowing has to be one of my favorite styles to do. It was what made me fall in love with hair. It is relaxing for me. I love creating designs in a persons hair and achieving different looks. 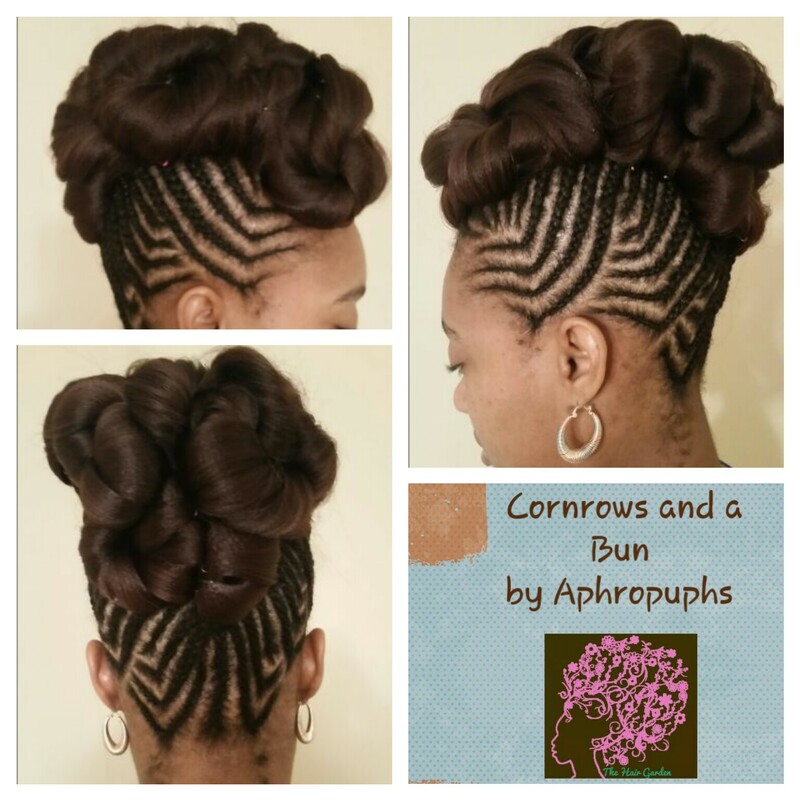 The latest style I did was this gorgeous cornrow style with a loose high bun. This look is low maintenance requiring only a little oil on the scalp and hair occasionally and tying it up before bed or exercise. This style can last her 2-3 weeks with proper maintenance. Just bottled up some samples and an order. Now lids and labels! Greetings, blossoms! I am so excited to introduce two of my latest products to you all! I have developed two unique conditioners that are great for the hair! 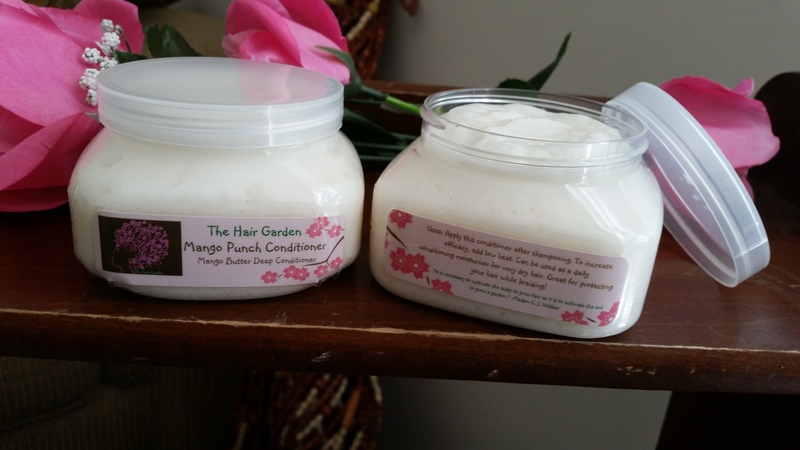 Please welcome The Hair Garden’s Mango Punch Conditioner and Avocado Shea Moisturizer! Both conditioners provide great benefits depending on your hair needs! 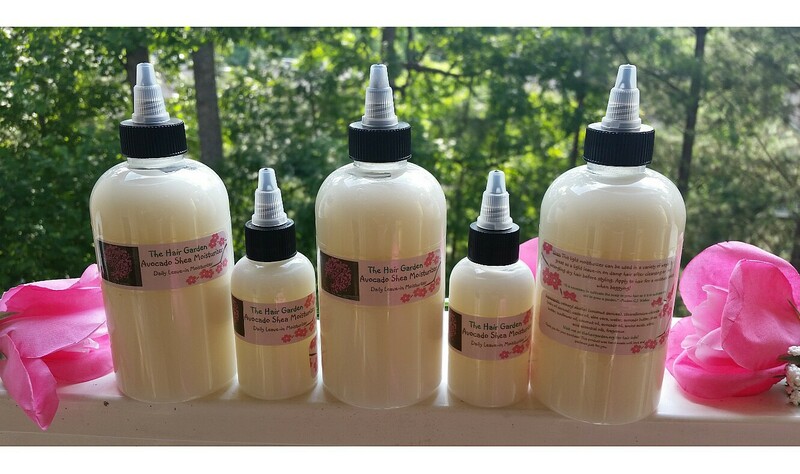 The Mango Punch Conditioner is a thick conditioner with mango butter, soy butter, olive oil, strengthening silk protein and essential oils! 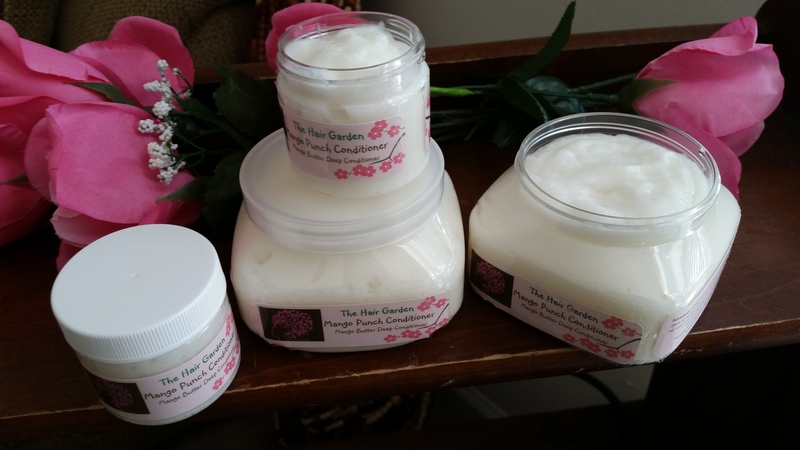 It has an amazing fruity, mango scent that everyone loves! This product can be used as a rinse or a leave-in to tame frizz and aid in manageability. Mango Punch Conditioner. 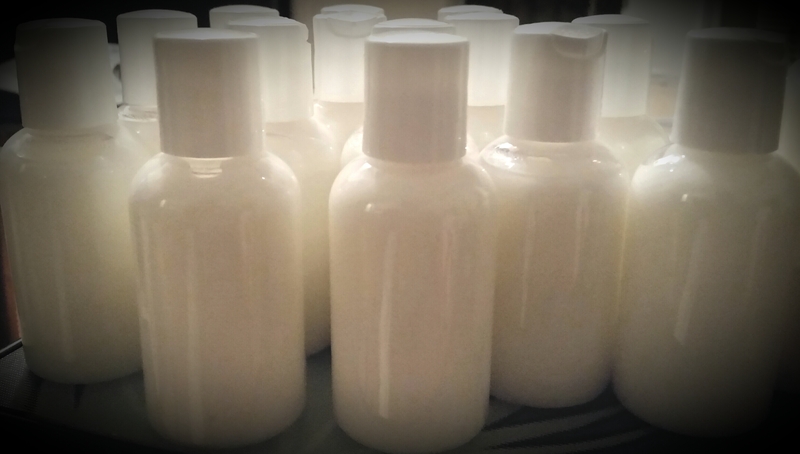 2 oz ($1)sample size and 8 oz ($8) original size. 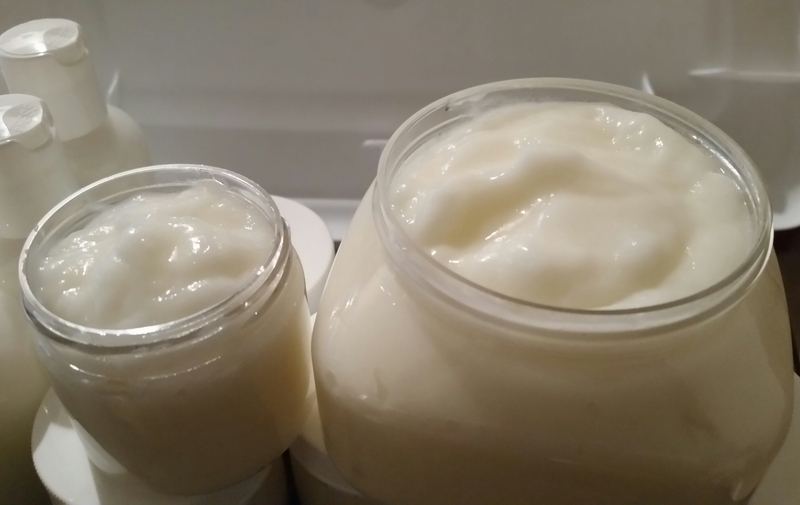 The Avocado Shea Moisturizer is a light daily moisturizer bursting with aloe vera, shea butter, avocado butter, coconut oil, amino acids and essential oils. This product is great for detangling, baggying and day-to-day styling. Comes in Vanilla Bouquet, a wonderful vanilla-sandalwood fragrance. I have listed these products in my Etsy shop! 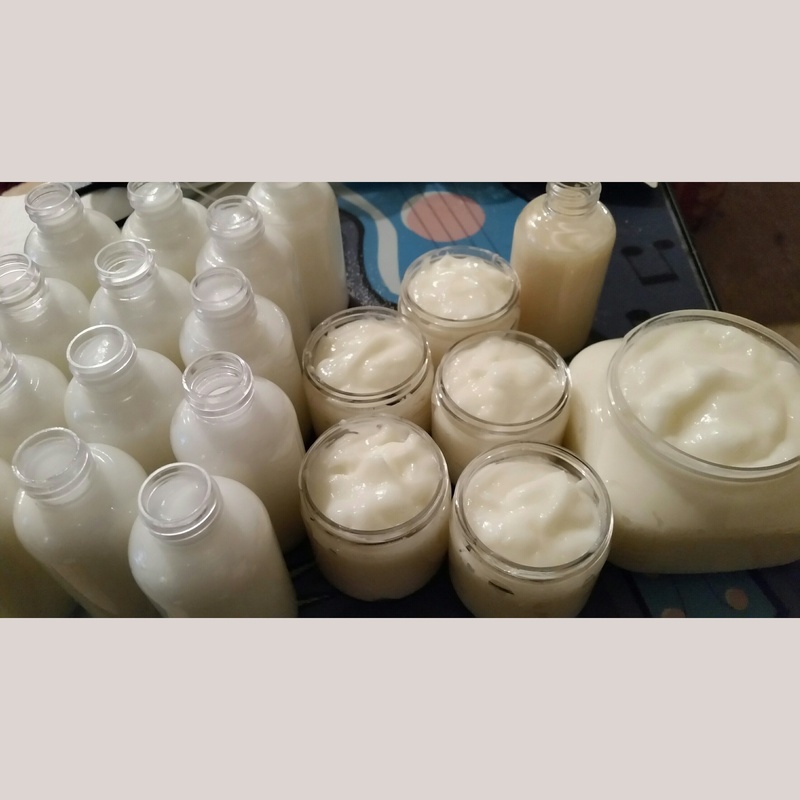 Author AphropuphsPosted on April 23, 2015 June 3, 2015 Categories Deep Conditioners, Hair Care, Natural ProductsTags affordable natural products, affordable products for natural hair, afro hair, atlanta natural hair, black hair, buy natural hair products, curly hair products, good products for natural hair, kids afro hair, kids natural hair, leavein conditioner for natural hair, natural conditioner, natural hair, natural hair care, natural hair conditioner, natural hair products, natural hair stylist atlanta, natural shampoo, preservative free natural products, products for curly hair, products for natural hair5 Comments on Hair Garden’s New Conditioners! !